Suggested post: "Today is National Check Flashlights Day. 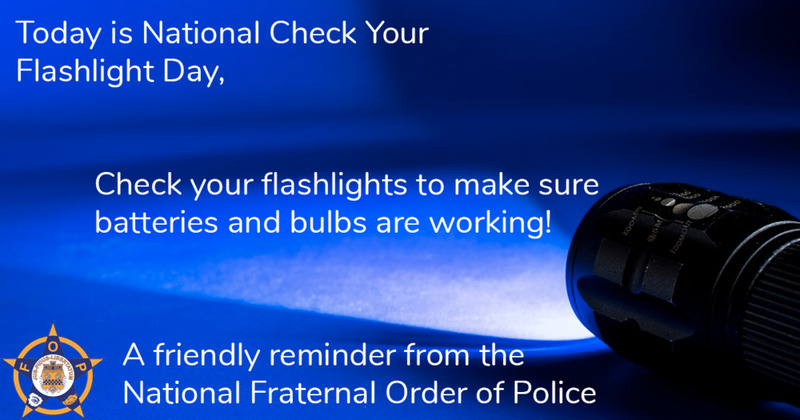 Check your flashlights to make sure batteries and bulbs are in working order. Replace what you need to and be sure everyone knows where the flashlights are stored."